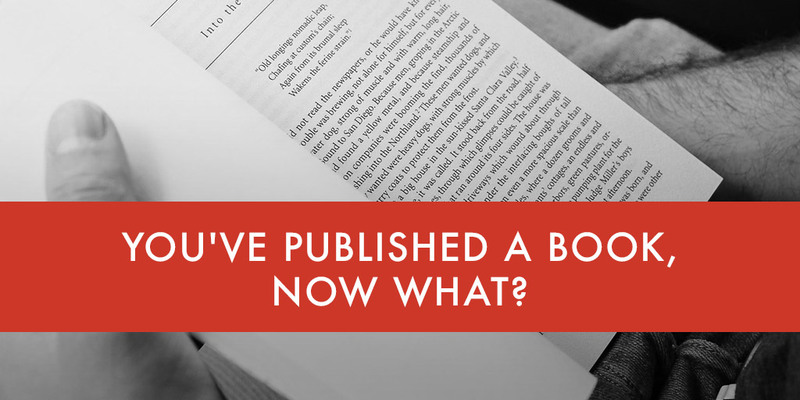 After you’ve called mom and gloated on Facebook, what do you do now that you’ve finally published your book? You may be tempted to sit back and wait for the royalties to roll in, but that would be a big mistake. In many ways, your hard work has just begun. If you want to increase your book’s exposure (and who doesn’t? ), you’ll need to hustle like it’s Monday. Below is an exhaustive list of what you should do with each and every book that you publish. This advice goes for self-published books as well as those printed by a traditional publisher. Even with the aid of a marketing department, don’t expect anyone to fight for your book as much as you will. The good news is that marketing your book now is so much easier than 50, 20, or even 10 years ago. On the flip side, you have an ever-increasing crowd of competition. 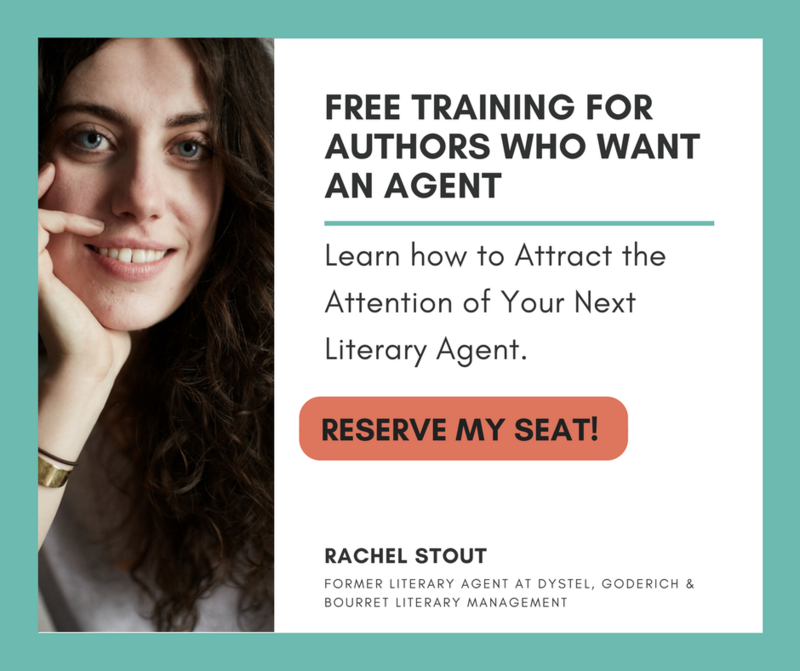 In this post, we’re going to discuss the best ways to stand out from the crowd and get more eyeballs on your book. Are you ready to hustle? Let’s go! Here are the best ways to stand out from the crowd and get more eyeballs on your book. A description of the book(s) that you’re selling. Reviews of your book. Feature reviews of your book prominently on your home and “Buy Now” pages. A chapter preview. Instead of giving it away for free, ask for an email address in return. A “Buy Now” page. Include the links for buying your book on Amazon, Barnes and Noble, Books A Million, your publisher’s page, and more. An “About Me” page. Your readers want to know more about you, the author. Share a picture and a brief bio about yourself and why you got into writing. Keep it focused on you. An “Ask for Shares” page. 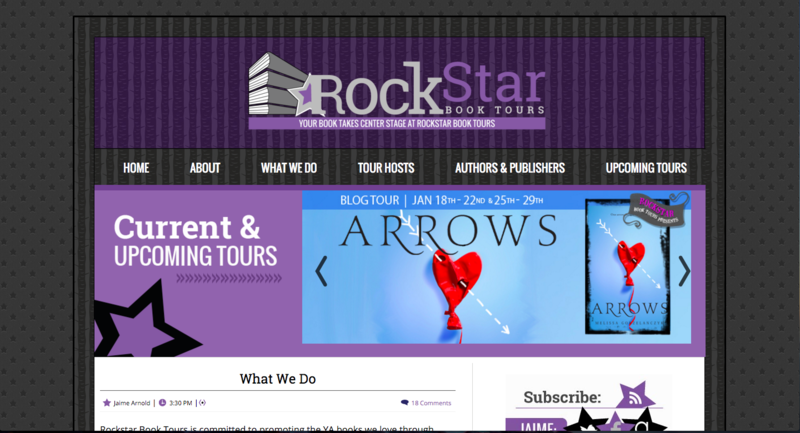 Make it easy for your readers to share and promote your book to their sphere of influence. 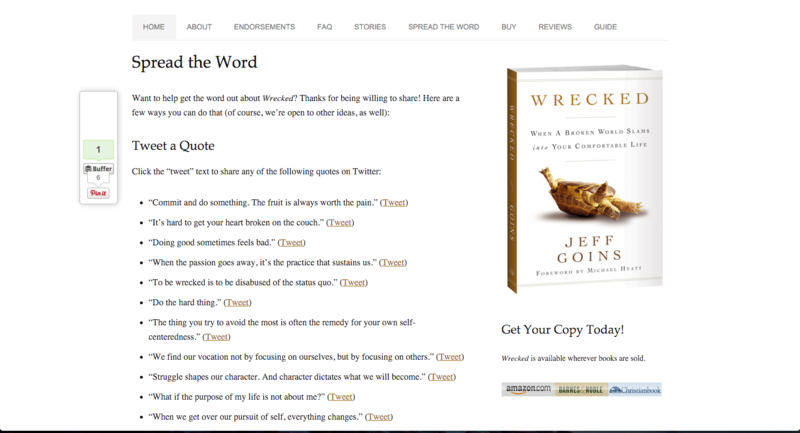 Look at how Jeff Goins offers multiple ideas for spreading the word about his book, Wrecked. 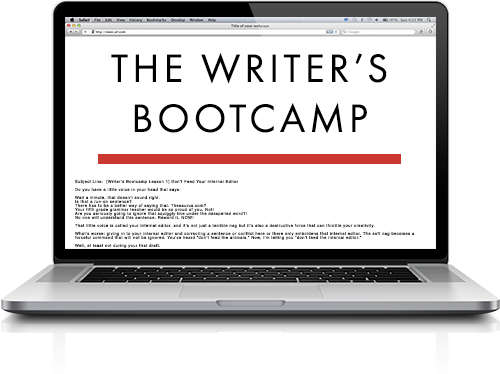 Need a list of the top website builders to create your author’s website? Subscribe to receive this free guide. There are a lot of ways you can give your book away for free while generating interest. 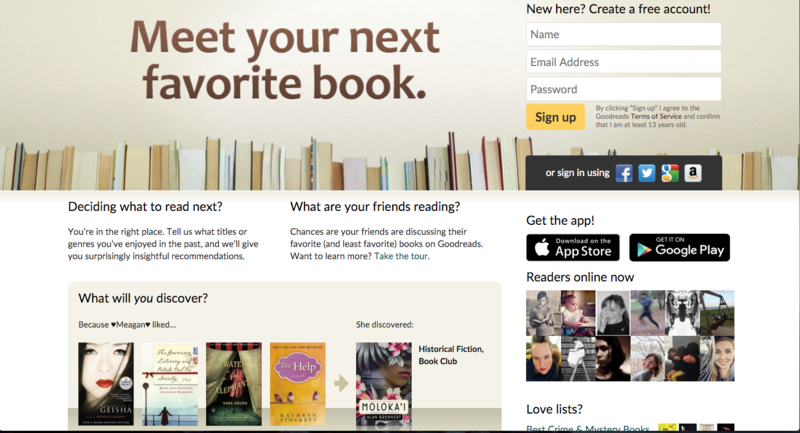 Consider giving away a copy of your new book on GoodReads and also LibraryThing. With a giveaway, you may have a few out of pocket costs (such as postage to mail your book to the winner’s address), but consider it a marketing fee. From your giveaway, you’ve increased awareness of your book, and maybe even scored a few sales in the process. 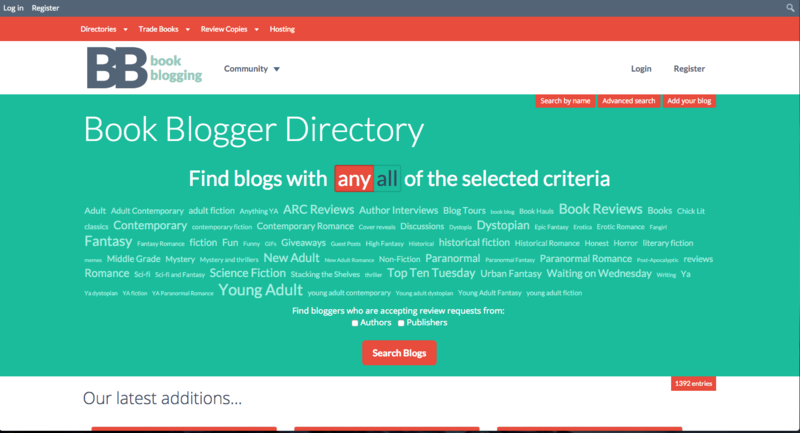 You may think, I’m an author, why do I need an email list? Grab a cup of tea and sit by the fire with me. I’m going to lay out the reasons why. An email list provides the best way to market yourself as an author and promote every book that you write. The people on your list got there because they’re interested in something you’ve written. Perhaps they’ve signed up to your list after coming to the end of a book you’ve written. Maybe they offered their email address in exchange for receiving a free chapter of your latest page turner. Whatever the circumstance, now that you have them on your list, you can market directly to them (for free). Are you writing a new novel? Share the good news with your email subscribers first. Send them a first chapter peak. You can also ask your list of subscribers for reviews. More about that below. Let’s be real: no one reads newspapers to get book reviews anymore. It all takes place online—on blogs. There are thousands of book blogs on the interwebs. You’ll grow tired trying to find them all. Remember your email list that we discussed earlier? This is where things get epic. It’s time to ask the subscribers on your email list to review your book for you. But don’t just stop with the people who’ve joined your email list (maybe there’s no one on your list yet). Reach out to everyone you know and have an email address for. This includes your cousin Tommy and your best friend’s little sister. By the way, you can also expand your reach even farther. Find top reviewers on Amazon who frequently rate and review books in your niche. If they include their contact information in their Amazon profile, it’s okay to ask them to review your book. Send an email or a message to offer a free advanced copy of your book in exchange for their honest review. The worst they can do is say no, but it’s pretty hard to turn down free. You have a 50/50 chance of them accepting the opportunity and leaving you a review. I like those odds. A guest post. You may choose to write about a topic related to your novel. If your novel deals with the topic of autism, you may write a post that raises awareness around this issue and what you learned. You may also create a post about your writing process. Your subject will vary depending on the wants and specifications of the blog you’re writing for. An author interview. The blogger may choose to interview you for their blog. The interview may be live, include video, be audio only (via a podcast), or be a list of questions that you can fill out and return. A giveaway. A giveaway should always be included in your blog tour. The prospect of winning will get people excited about your book and pull more attention than if you just link to your book’s sales page. There are a lot of great ways to market your book after publishing, but these are my favorites. Doing at least one of the items on this list is guaranteed to increase your exposure and get you in front of more readers. Will be looking them up. Thank you. 2016? don’t you have newer posts to send out regarding a rapidly changing industry? Great article. You may also post some more tips.